● Book a hotel Park & Stay package and get up to seven nights of parking and airport transportation. This promo is open for a limited time and it is offered at participating hotels in the US, Canada, and Latin America. ● Country Inns & Suites has a Best Rates Guaranteed promo. You can report a lower rate on another website within 24 hours of booking your hotel room on countryinns.com, and that rate will be matched. You’ll also receive an extra 25% discount once the Country Inns Customer Care verifies the rate. ● You can receive 15%, 20% or 25% off the standard rate at participating hotels when you book at least 14 days in advance. You cannot cancel, amend, or adjust your reservations once they have been made. ● Country Inns & Suites occasionally offers up to 30% discounts on select branches. Customers should book at least two consecutive nights on select dates at participating branches. ● Join Club Carlson and earn points which you can redeem at more than 1,000 participating hotels worldwide. You can enjoy benefits such as prepaid cards, airline miles, PayPal deposits, and more. 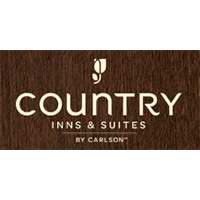 Country Inns & Suites by Carlson are considered by many to be amongst some of the most cozy and attractive accommodations anywhere. Individuals that are hoping to take advantage of these plush accommodations will have the opportunity to do exactly that by taking advantage of the booking tool provided directly by the company themselves. Visitors to this website will not only be able to browse for accommodations in the area that they are hoping to visit, but will also be able to secure those accommodations in advance by using the booking tools provided online. If cheaper accommodations are made available between the time that individuals book and their actual stay, the difference will be refunded. For most up to date offers check out Country Inns on Facebook and Twitter or contact Country Inns Support for any questions.